William joined Ford in 1979 as a product planning analyst. He held a variety of domestic and international assignments in manufacturing, sales, marketing, product development and finance, before becoming vice president, Commercial Truck Vehicle Center in 1994. 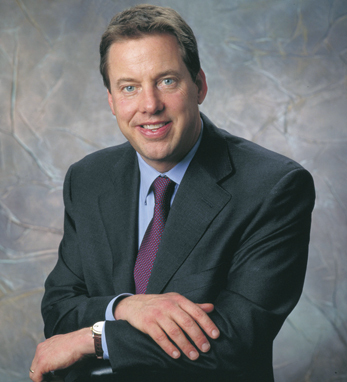 He served as CEO from October 2001 to September 2006. A member of the board since 1988, he became chairman in 1999. He also serves as chairman of the board’s Environmental and Public Policy Committee. William holds a BA degree from Princeton and an MS degree in management as an Alfred P. Sloan fellow from MIT. An avid fly fisherman, he enjoys playing hockey and tennis and is a black belt in Tae Kwon Do.